When Should an Alzheimer's Patient Go to a Nursing Home? Deciding whether or not an Alzheimer’s patient should go to a nursing home can be extraordinarily difficult. Caregivers may feel guilty or anxious about placing a loved one in a nursing home - they may feel that they are taking the easy way out or letting the patient down. Some patients struggle with change and may be distressed by the move. Some patients experience a rapid deterioration when they enter a nursing home. Nursing homes can be more expensive than looking after the patient yourself. However, nursing homes don’t have to be seen as a last resort. Today’s Alzheimer’s care facilities have improved radically, and many offer an exceptional level of care, focused on maximizing the patient’s quality of life. 1. How far has the disease progressed? Alzheimer’s disease has three stages - patients at each stage require different levels of care. A person diagnosed with Alzheimer’s usually lives another four to eight years after diagnosis but could live as long as 20. Early stage Alzheimer’s patients can live relatively normal lives, although they may notice memory lapses, have difficulty organizing themselves and may struggle in particular work or social settings. Patients at this stage can usually manage to stay in their own homes, and may still have the legal capacity to make decisions about their future care preferences. The next stage, moderate Alzheimer’s, can last for several years. Patients during this stage will have obvious symptoms, such as confusion, severe memory lapses, getting lost, and behavioral or personality changes, like delusions, suspicion, moodiness, changes in sleep patterns, and in some cases loss of bladder or bowel control. Late stage Alzheimer’s sufferers become unable to function and eventually lose control of movement. They need 24-hour care and supervision. They are unable to communicate, even to share that they are in pain, and are more vulnerable to infections, especially pneumonia. Alzheimer’s is a progressive disease, and patients in the early stages may need only minimal care. Even those with moderate Alzheimer’s can receive enough support with either family help or an at-home care service - as long as they are not placing themselves at risk, can manage day-to-day activities, and are able to take basic care of themselves. However, the disease will continue to progress to the point where you may need to look for full-time care, at which point you may wish to consider a nursing home. 2. Can I realistically offer home care? How much support does the patient need? The patient’s physician may be the best person to advise how much support they need, and you can also seek advice from the Alzheimer’s Association. The amount of support needed will depend on the stage of Alzheimer’s, but also the patient’s specific symptoms and difficulties. There are useful guidelines of what you can expect as a caregiver at every stage here. Caring for an Alzheimer’s patient is an exhausting and potentially overwhelming task, and if possible should not fall on only one person’s shoulders. If there are multiple, committed family members to help out, during the day and also overnight when needed, then a nursing home may not be necessary - but otherwise, it should be considered. Can I afford paid home help? Paid home help is also a possibility, but the Alzheimer’s Association found that it costs around $20 an hour - which quickly becomes prohibitive if you need 24-hour care. However, if you are able to combine family support with brief home visits, this may be a good choice for minimal disruption to the patient. Other options include respite care and adult day centers, which can give you and your family a break. Alternatively, if you feel your loved one could use more support but is not ready for a nursing home, you could consider retirement housing or assisted living. Am I physically strong enough? Caring for an Alzheimer’s patient can be physically demanding - they may need help getting in and out of the bath or shower and lifting in and out of bed. They may also become aggressive. Carrying out daily chores for another person as well as your own can be exhausting if you aren’t strong. The physical demands of caring for someone with Alzheimer’s should not be underestimated, especially if you are older or in any way infirm. Under those circumstances, a nursing home may be in your loved one’s best interests as well as yours. Am I emotionally able to cope? Looking after a loved one with Alzheimer’s puts you at serious risk of caregiver depression. This is unsurprising - caregiving can be immensely rewarding, but it is also demanding, stressful, and unrelenting. It is also time-consuming, and may therefore limit your ability to socialize or enjoy leisure time, spend time with other family members, or commit fully to your work. Severe depression may impede your ability to care for your loved one in the way that you would wish to. 3. Is my loved one safe at home? Alzheimer’s disease can cause sufferers to put themselves at risk. They may, for instance, leave pans on the stovetop, leave the gas on, ingest poisonous chemicals, or slip and fall. They may wander out into the street and get lost, or stumble into traffic. 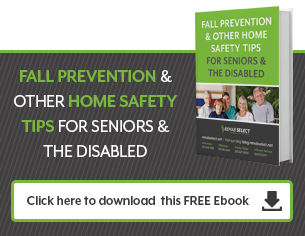 There are steps that can be taken to make the home safer, but at some point, you may feel that your loved one would be more secure in a nursing home. If you are not physically strong enough to help them, then as they become more physically dependent on you, you may not be able to protect them from falls or safely lift them up. Some Alzheimer’s sufferers develop aggressive behaviors that could put others around them at risk. Or, if they are sharing the home with family members, their forgetful behavior could cause harm to their co-habitants. Alzheimer’s facilities provide round-the-clock supervision, as well as full security if your family member has a tendency to wander. 4. Does my loved one have a healthy, structured routine at home? People with Alzheimer’s benefit from a consistent, structured daily routine. They also benefit from a healthy diet, regular physical activity, and mental and social stimulation. Circumstances may make it impossible for you to offer your loved one a daily routine that supports their well-being: for instance, if you work long hours, or depend on support from family members who cannot commit to regular hours, meaning that the patient’s routine is frequently disrupted. If you feel that while you would prefer to keep your loved one at home, you are not able to give them a good quality of life, it would be a good time to consider a nursing home. Nursing homes can offer a customized treatment program, a healthy diet, 24-hour support and supervision, and social activities. If you would like further advice on Alzheimer’s nursing homes, please contact us here.